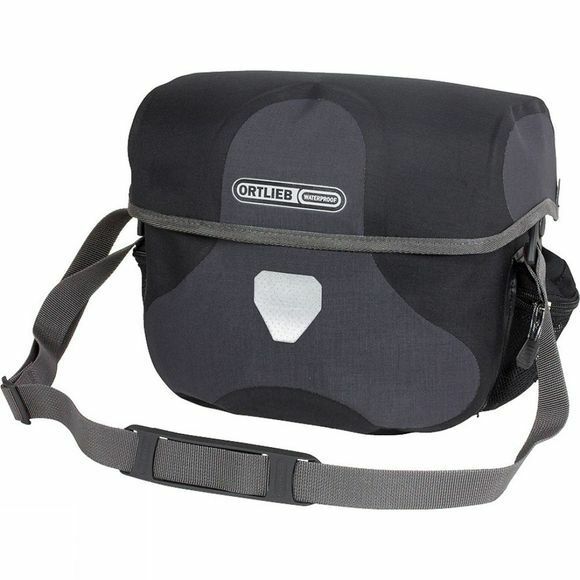 The handlebar bag made of the favourite Cordura fabric features a lockable magnetic lid and comes with a lockable fixing set compatible for handlebar bags up to 31.8 mm diameter. Numerous features like removable shoulder strap, integrated inner pocket with zipper, reflector, two outer mesh pockets and flexible, removable inner divisions make it the right choice for bike touring and trekking. The lockable mounting system protects the bag from being taken away unauthorized. All Ultimate6 models are compatible with the adapters of the ORTLIEB generations Ultimate2-5 and also with the Klickfix mounting by Rixen&Kaul. Do not use with carbon handlebars! Maximum load capacity 5 kg/ 176 oz.